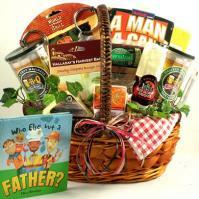 Send gift baskets for Christmas, Easter, Mother's Day, Father's Day, Holidays and all occasions. Choose baskets filled with gourmet food, fruit baskets, candy, unique gift baskets, gifts and care packages to send to Chattanooga, TN by mail. Chattanooga's name means "rock rising to a point," a Greek Indian word given to the city for its major attraction - Lookout Mountain. Tourists visit Chattanooga, Tennessee from all around to explore the mountain's rock formations, see a beautiful waterfall, and ride the train for amazing views from the top of the mountain. This and many other great attractions are what make Chattanooga so appealing to visitors. Chattanooga is located in Hamilton County as the county seat and sits beautifully along the Tennessee River, close to the Georgia border. The estimated population was 154,887 as of 2003. Chattanooga is located near the cities of East Ridge (TN), Red Bank (TN), Ridgeside (TN), Lakeview (GA), and Rossville (GA). Chattanooga in history was a vital railroad junction during the Civil War. It is also where the first Coca-Cola bottling plant opened and is home to the famous "MoonPie." The MoonPie is believed to have been developed originally for coal miners as a filler snack for their lunch pails! Chattanooga is also rich in Native American, Civil War and 20th-Century history. Some well-known residents who have lived in Chattanooga are actor Samuel L. Jackson, football player Reggie White, Olympic athlete Venus Lacey, blues singer Bessie Smith and R&B singer Usher Raymond. The local sports team is the Lookouts for minor league baseball. One thing Chattanooga is known for is history. Those who love delving into Civil War history, Native American history or Tennessee history, in general, can visit one of the many museums in Chattanooga. There are the Creative Discovery Museum, Chattanooga Regional Museum, Chattanooga African-American Museum, International Towing and Recovery Museum and several others. Art lovers can tour the Hunter Museum of American Art (http://www.huntermuseum.org) to see a great collection of 19th- and 20th-Century American art. The entire family will enjoy a day at Lookout Mountain (http://www.lookoutmtnattractions.com/), where there are three great attractions - Rock City, Incline Railway and Ruby Falls. The entire family can ride the train to the top of the mountain for an astonishing view. At Point Park, military buffs can see where the "Battle above the Clouds" was fought on Lookout Mountain in 1863. Point Park is located in the Chickamauga-Chattanooga National Military Park. The family can also visit the Tennessee Aquarium (http://www.tnaqua.org/) to see sharks and more than 12,000 salt-water and fresh-water animals. Visitors also get to walk through living forests and touch stingrays. There are two buildings filled with exciting animals to explore - River Journey and Ocean Journey. There are also "behind-the-scenes" tours available to learn how the aquarium works. Just outside of Chattanooga, tourists can explore the caverns, ride go-carts and even pan for gemstones at the Raccoon Mountain Caverns. The area also offers spectacular views of both Raccoon Mountain and Lookout Mountain. Other fun places to visit in the area include the Chattanooga Zoo, Tennessee Riverpark, Coolidge Park and the Bluff View Art District. Chattanooga is the birthplace of Bessie Smith (Empress of the Blues), born in 1894. In 1908, the Chattanooga Choo Choo Terminal Station was constructed. In 1924, a living memorial called Soldiers and Sailors Memorial Auditorium was opened to honor the war veterans from Hamilton County. Ruby Falls was discovered in 1928. Rock City opened in 1932. In 1948, Chattanooga became the first major city in the South to hire African-American police officers! In 1961, Chattanooga began drawing a multitude of tourists wanting to see Ruby Falls, Rock City, and other sites. The Tennessee Valley Railroad Museum was founded this same year. In 1974, the Chattanooga Choo Choo Historic Hotel was listed on the National Register of Historic Places! The very popular Tennessee Aquarium was opened as well as the Bluff View Art District in Chattanooga in 1992! A few famous people from Chattanooga include Olan Mills, Sr. (founder of Olan Mills portrait studios), blues singer Bessie Smith, actor/singer Jim Nabors, pro golfer Gibby Gilbert, football star Reggie White, Ted Turner (founder of CNN), actor Samuel L. Jackson, and many others!